Hello, Carol Hill here, of The WISE Enquiries Agency. 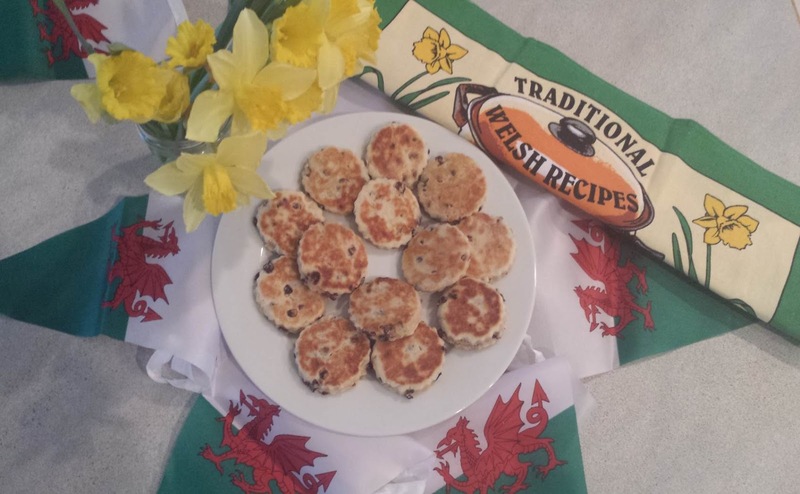 I know I’m a full time private investigator - and a full time new mum of course - but I’m also a lover of baking, and with the way we Welsh like to celebrate our patron saint, St. David, on March 1st, you can be sure I’ll be doing a fair bit more baking over the next few days. Planning can avoid too much of one thing arriving! Baking is always a big part of any celebration: cakes play a significant role in weddings, birthdays, anniversaries and Christenings, for example. Besides, my lovely Hubby, David, (yes, I know...he thinks March 1st should be HIS day!) wouldn’t be happy if I didn’t make the most of the excuse for us to overindulge a bit on the day itself. 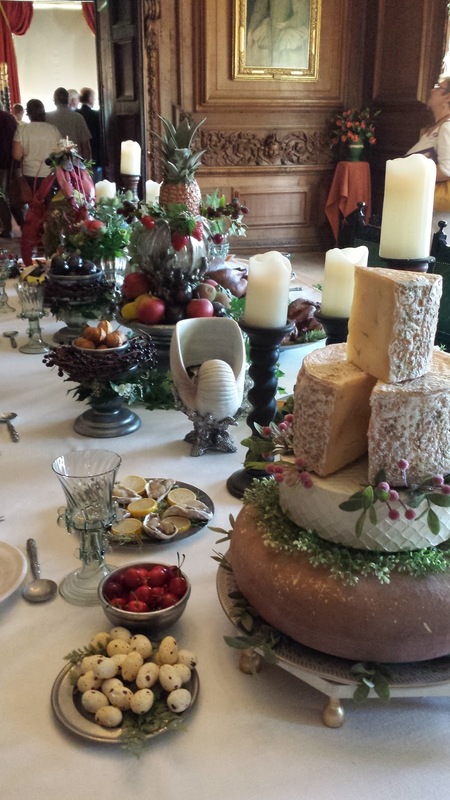 But baking isn’t something you can do willy nilly – not in a Welsh village for St David’s Day, in any case. Oh no, we have a committee in place to decide who will bring exactly what to the big get-together in the village hall that will begin at 3pm on March 1st, and will run until about six. When we had our meeting last week, I had my fingers crossed that I wouldn’t draw the short straw – making the Welsh cakes. Not that I don’t love Welsh cakes, but making them requires you to spend hours (and I mean HOURS!) standing beside the stove, watching as the rounds brown and firm up, then flipping them for the same to happen on the second side. I tell you – take your eyes off them for two minutes and they’ll burn! 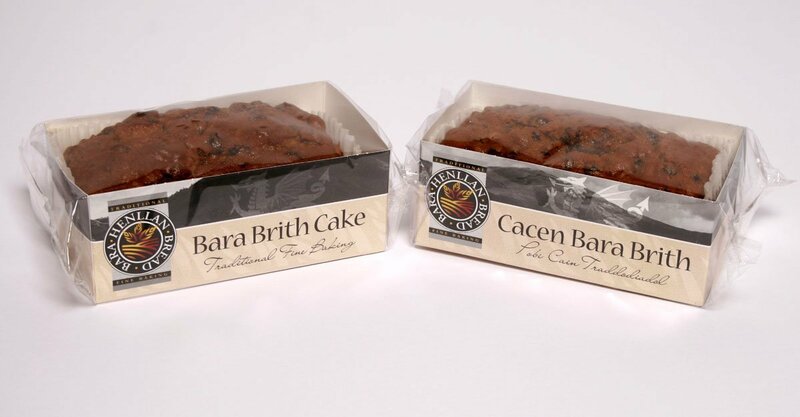 This year –as luck would have it – I’ve been asked to bring the Bara Brith. I couldn’t be happier! 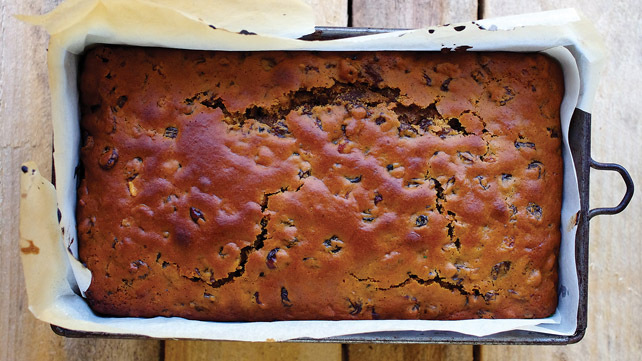 If you don’t know what Bara Brith is, well, it’s the easiest cake to make in the world. And it tastes lovely too. You might want to give it a go yourself – I swear anyone can make it; it’s a very popular “first baking with Mum” thing here in Wales, it’s that straightforward. 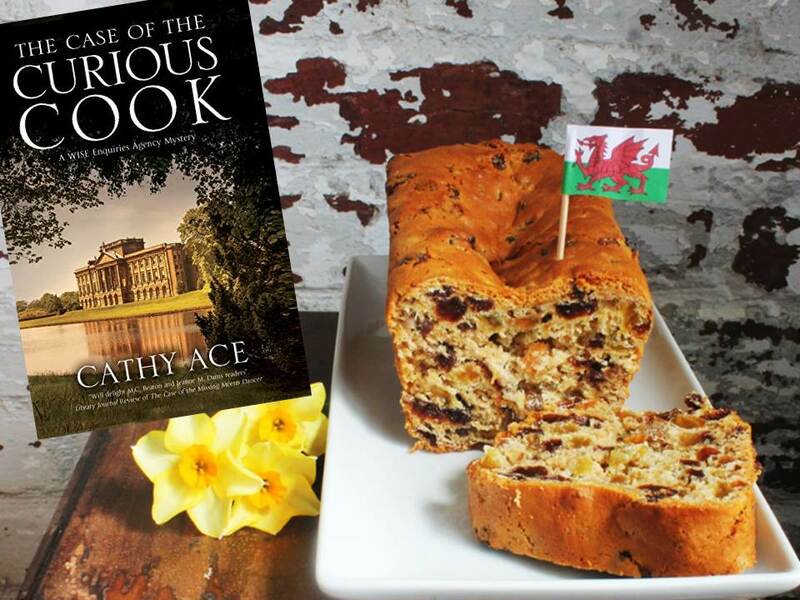 If you're not up to making Bara Brith - you can buy it on amazon! Now, I’ll be honest and admit I don’t use my Gran’s recipe anymore; it used to be that all Bara Brith was made as a bread, with yeast, but I promise you it tastes just as good if you leave out the yeast and make it as more of a cake…and it’s a lot quicker too, of course. 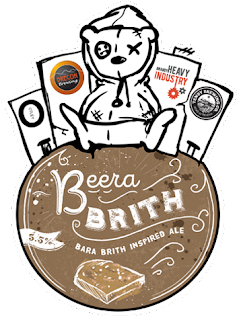 The other thing about it is that you need to make it ahead of time - it tastes much better when it's a couple of days old, and keeps at its peak for up to a week. If you do need to freeze it, its texture and flavor don't suffer when it's thawed, as long as you left it a few days before you froze it. 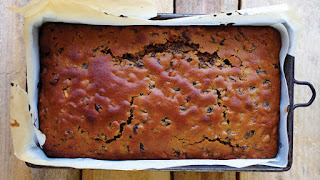 Photo of Bara Brith posted on Pinterest...no idea who made it, but it looks good! When you serve it, you cut it in thick slices like bread, and put butter on it (I like it with salt butter - YUM!). Bara Brith is perfect with a cup of tea, and it’s not sickly sweet like so many baked goods. I’ve promised to make ten loaves – that should do it. And if there’s any left over we’ll share it out around the village to anyone who wasn’t able to join us on the day. They're even making Bara Brith-inspired beer these days! If you’re feeling like you might want to give it a go – here’s the recipe and the method I use now; trust this absolutely modern Welshwoman, it’s authentic, and you’ll love it…but make sure the tea you use is good and strong – you have been warned! 1) Put the dried fruit in a bowl. Add the sugar to the tea, stir until the sugar dissolves, then pour the hot, sweet tea over the fruit. Stir well. Leave to soak for at least 6 hours (I prefer overnight). 2) Next day, sift the flour and spice over the soaked fruit (no need to drain the tea) and stir in the egg. Blend well together. 3) Preheat the oven to 180°C /350 F/Gas mark 4. Line a 900g (2lb) loaf tin with baking paper and pour in the mixture. 4) Bake for approximately 1 hour until the cake has risen and cooked through. Leave to cool on a rack and store for 2 days before eating. Serve sliced with butter. THE CASE OF THE CURIOUS COOK IS NOW AVAILABLE IN PAPERBACK! That sounds intriguing. I think I shall try it. Yum! Thanks for the recipe. Drooling already. 180C + about 350F, right? This looks so easy to make and sounds delicious!! Thank you for sharing. So pleased you like the sound of it - and, yes, it really IS that easy! Does it taste like tea then? I'm not too fond of tea. But, it sure sounds good.